A dark and bleak story of abuse, love between siblings, and the dark side of human nature. 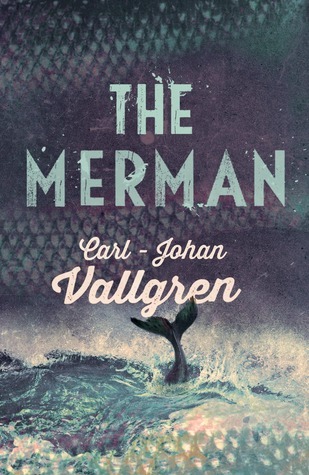 The Merman is the story of Nella, a fifteen year-old girl, whose parents are drunks. Her father is in prison, and her mother drinks every single penny they have away. She has to care for her younger brother who gets bullied severely in school. The beginning of The Merman is extremely heavy. There is severe bullying, and absolutely disgusting animal abuse (which is witnessed by the main character, she’s not the one doing it). Especially the animal abuse was too much for me. They put a kitten on fire in very graphic detail. It went on for pages, and I skipped several of them, disgusted. After this I put the book down for weeks, not having the stomach to read on. Luckily it gets better after that, and there are barely any scenes as dark as that one. This book manages to pull off being a book about abuse and bullying and being an outsider on the one hand, and having a supernatural on the other. I won’t say much about the creature that lends this book its title as not to spoil anything, but I think the combination of the ordinary and the other worked very well in The Merman. It’s a strange book, but a good one. Mr Vallgren has a clean, to the point writing style that I enjoyed. After reading hundreds of books I’ve come to the point where I’m realising that I don’t like my prose to have endless detours skirting around the goal, I want it to say what it means. It was barely noticeable that this is a translation from Swedish, except for some words that stuck out for me. Especially the continuous use of the word “lad” seemed a bit strange. The Merman is painfully honest and open about crazy people, and therefore I wouldn’t recommend it to young teens. It displays, yet never judges or preaches. It doesn’t get wrapped up in a neat little bow, but has a realistic yet satisfying ending. Nella and her brother Robert live a difficult life with their mother and father in a small town on the west coast of Sweden. Robert is bullied at school, and Nella has to resort to debt and petty crime to pay off his tormentors. When she turns to her friend Tommy for help, her suspicions are aroused by the comings and goings of her brothers at the dilapidated boat house. But when she uncovers the reason behind their enigmatic behaviour, her. 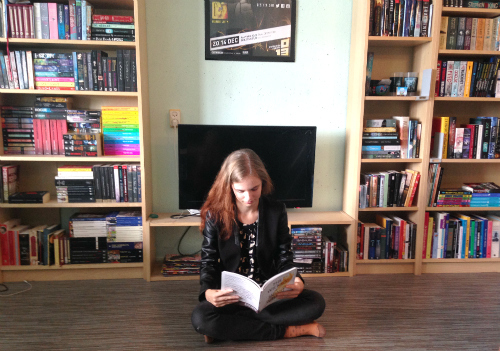 her life is opened to the realities of a mindboggling secret. The Merman is an exhilerating and beautiful book about sibling love and betrayal – and what happens when the mundane collides with the strange and wonderful.